All race events start at the main beach area. The swims are beach starts and in open water in the main beach bay. Lake Huron water can be cold even into August so wet-suits are recommended. Wet-suit rentals are available at 360 Bikes and Boards but are limited in number. The bike portion starts with a challenging hill climb up Harbour Street and are looping tracks (see map details below for each event course). 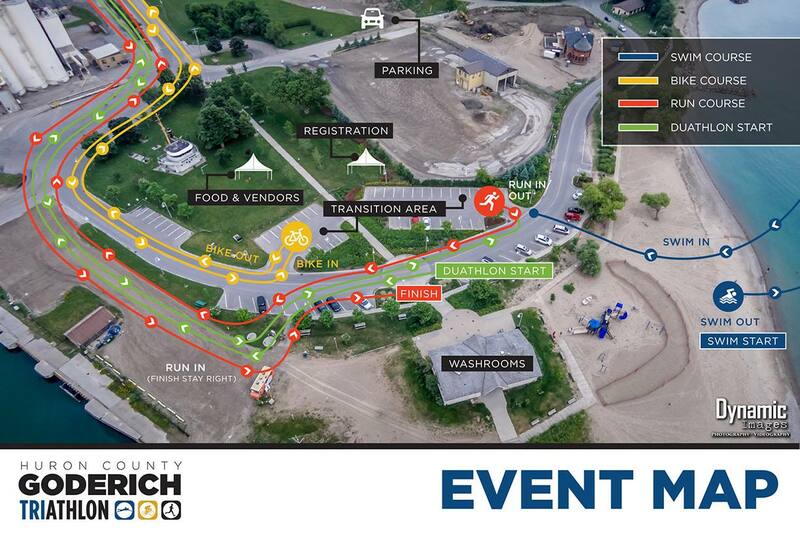 The run portions are out and backs and will also partially climb the Harbour Street hill, connecting to a double wide path that connects with the Goderich to Auburn Rail Trail (G.A.R.T.). The GART is a groomed, hard packed gravel track. 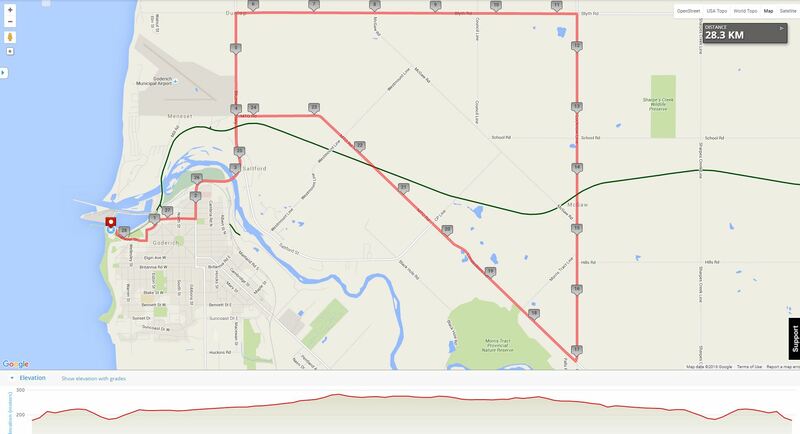 Course details, distances and maps for the run and bike are below. * Please note the 2016 route has changed to go out and back in on Bruce Street.